The Drawing for Art Educators Kit is designed to teach the complexity of light, shadow, value, and composition. Students begin by practicing drawing the basic shapes of the cube, cylinder, cone, and sphere. As more skill is acquired, students move to more complex forms of the female torso. 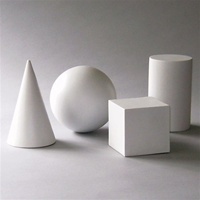 The kit comes complete with a full range of shapes including: cone, sphere, cylinder, cube and female torso. 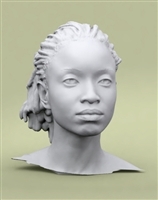 All casts are made from durable, light, high grade resin with an anti-glare surface. This Chiaroscuro Figure Kit completes the Chiaroscuro kit for students that purchased the starter kit. This kit is designed to teach drawing students the complexity of light, shadow, value, and Composition by observing more complex forms of the human body. The kit comes complete with a human head and a torso. All Casts are made from durable, light, high grade resin with an anti-glare surface. This Analysis of Form Head and Torso Kit completes the Analysis of Form Starter Kit (below). This kit contains the human head and torso needed for later assignments in Analysis of Forms. All casts are made from durable, light, high grade resin with an anti-glare surface. 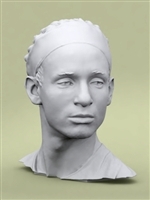 This is the head cast required for the following Academy of Art University classes: Foundations Figure Drawing, Chiaroscuro, Fine Arts Figure Modeling, Foundations Figure Modeling. All casts are made from durable, light, high grade resin with an anti-glare surface. 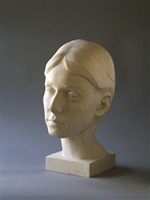 The Head and Figure Sculpture 1, Head Model is a life size figure cast. All Casts are made from durrable, light, high grade resin with an anti-glare surface.